Automatic Operation: Don’t worry about having to be there to start and stop your Generac home backup generator. Because it does that automatically. Whether you’re home or away. Refueling Not Necessary: Your Generac home backup generator runs on your existing natural gas or LP fuel supply. Save the gas cans for your other outdoor power equipment. Power Directly to Your Home: You’ll never have to run an extension cord through a window or door again. Your Generac home backup generator safely delivers power right to your home’s electrical panel. The #1 Selling Brand of Home Backup Generators: Generac created the home backup generator category. Today, our generators are preferred by 7 out of every 10 homeowners who invest in home backup power. 24/7/365 Customer Support: Power outages aren’t a 9-to-5 thing. That’s why we’re standing by all day every day from our headquarters in Wisconsin to answer any questions you might have. 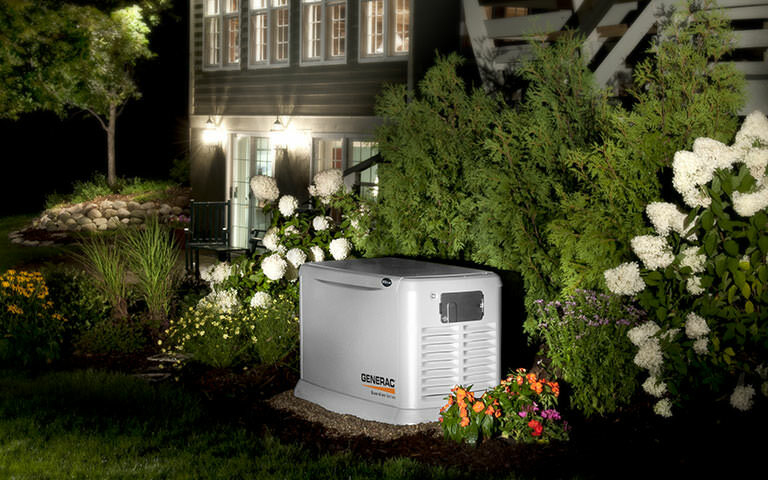 A Generac home backup generator senses a power outage, turns on automatically, and delivers backup power to your home. It will run until utility power returns – whether that’s two hours or two weeks. We know a home backup generator is a big investment. Here’s what you need to know to make an informed decision about your Generac home backup generator purchase. Generac has an online sizing calculator that can help you determine the right home backup generator for your unique needs. The best way, though, is to work with Alternative Power, a Generac Dealer. We’ll help you select the right generator, and provide you with a free, in-home assessment. Generac home backup generators start at $1,949–the most cost-effective on the market. Installation costs vary by system size, installation considerations, and local building codes. We recommend getting a free, in-home assessment from Alternative Power near you. You can begin exploring the full selection of Generac home backup generators. Use our interactive sizing guide to narrow down the selection. Then contact us for a free, in-home assessment. And if you have any questions, you can chat with a Generac representative.